All ideas, recipes, & opinions are entirely my own however, this is a sponsored post on behalf of Michael Angelo’s™. Do you ever feel like you just can’t keep your head above water? As a mom of four, I often feel this way. The fall months are especially busy in our family and between work and all the kids’ school events and sports practices, making a home cooked dinner isn’t always possible. I found us grabbing takeout or fast food so often that I knew something had to change. For someone like me who loves to cook, the guilt of not being able to always be supermom in the kitchen was welling up. It was time to say sayonara to the guilt and hello to healthy weeknight dinner solutions! What has helped me through the busy fall season are these yummy family size Italian meals from Michael Angelo’s™ which can be found in the frozen aisle and are made with absolutely no preservatives and nothing artificial . In less than 30 minutes I can have a delicious dinner on the table that is healthy and hearty and one that my kids will love. My favorite is their eggplant parmesan. 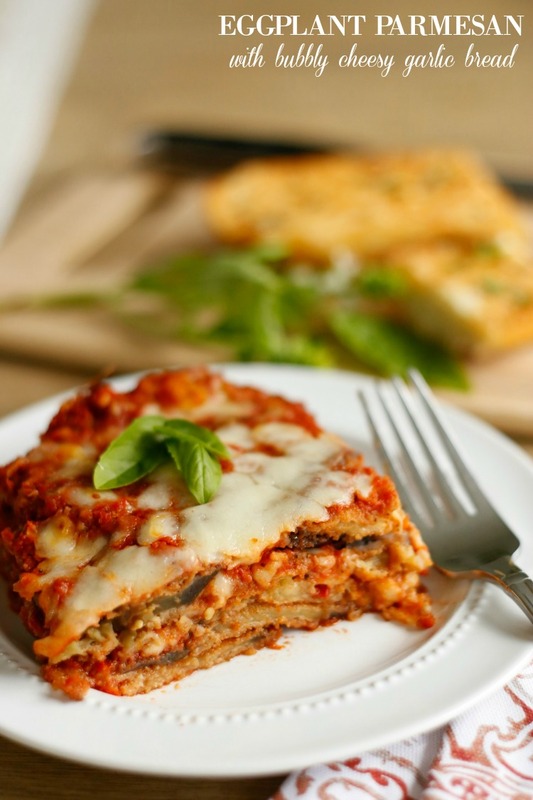 The first time I served the eggplant parmesan, I told the kids that it was veggie lasagna! Just a little fib because I knew they wouldn’t try it if I mentioned eggplant. 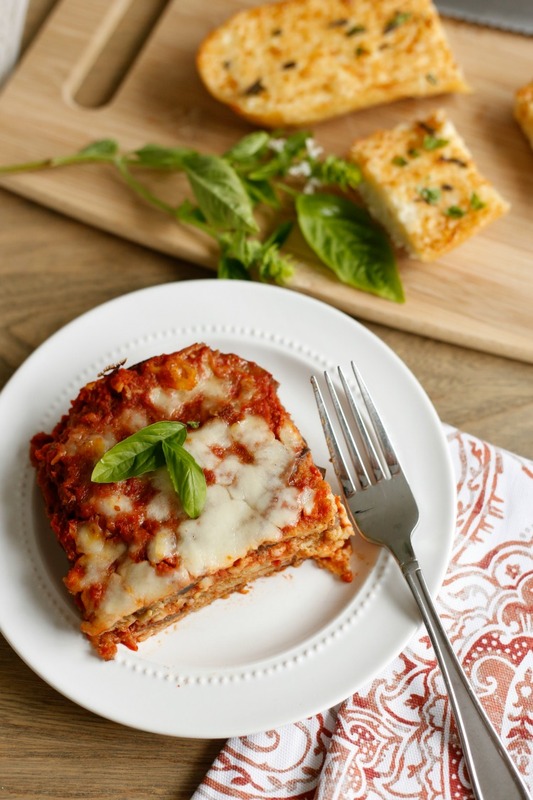 It has vine ripened tomato sauce, layers of breaded eggplant, romano cheese and topped with gooey mozzarella. They gobbled it right up! Our family loves to eat cheesy garlic bread whenever I serve Italian. This recipe is very fast and simple to whip up. 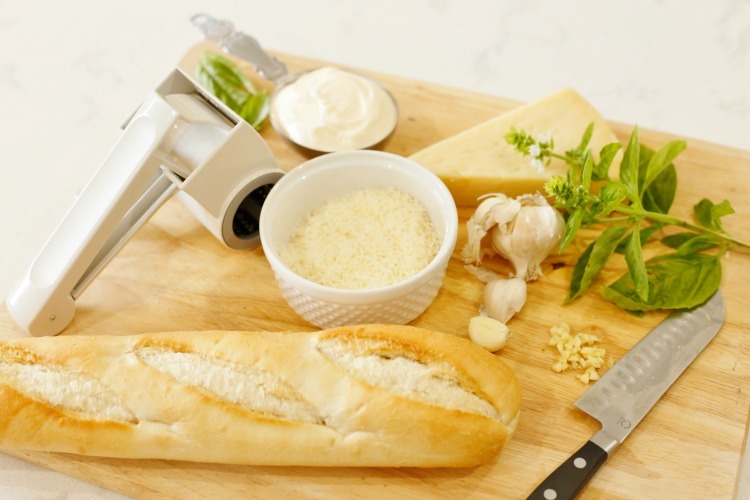 All you need is a few ingredients to make bubbly cheesy garlic bread. I used freshly grated parmesan but you can use whatever parmesan you have on hand. Mix together the cheese, mayo and garlic in a small bowl. Cut the Italian loaf in half lengthwise and spread the cheese mixture on both halves. Place on a baking sheet and place it under the broiler for approximately 1 minute. Be sure to watch the bread closely so it won’t burn. 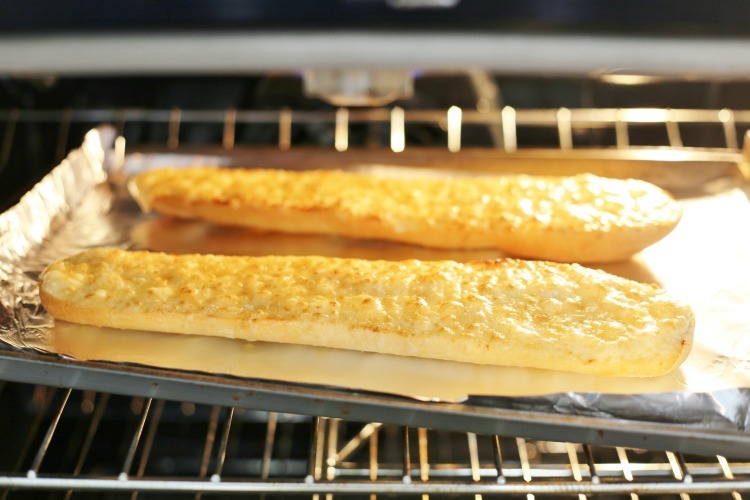 Remove from oven when the cheese is bubbly and golden brown. Sprinkle with chopped basil and serve! 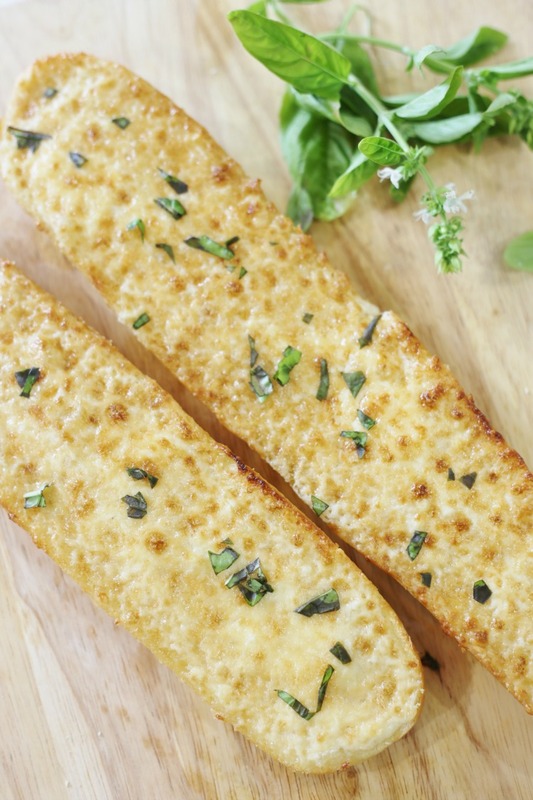 The bubbly cheesy garlic bread will be some of the best you’ve ever had! 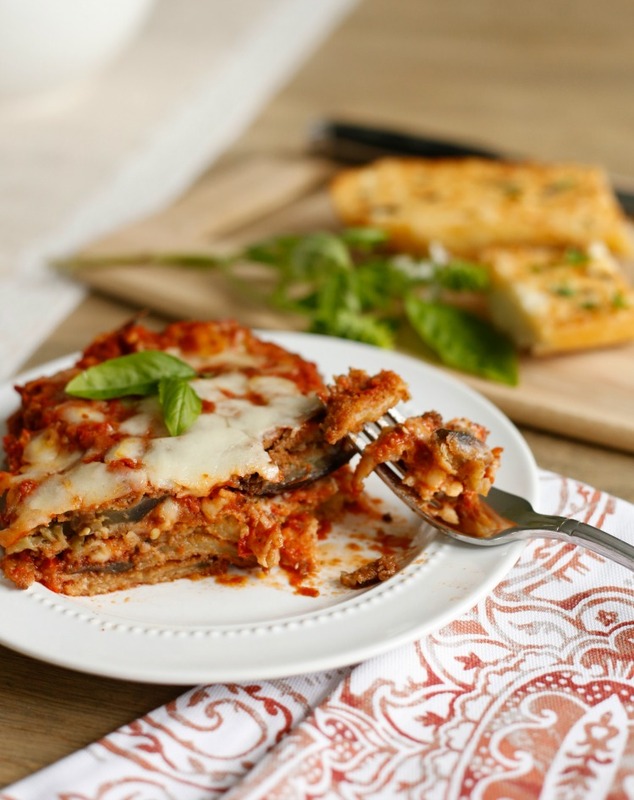 Serve it along with the eggplant parmesan and voila! You have a healthy meal that tastes homemade on table in no time flat. Michael Angelo’s™ is a family owned and operated, mom and son business and all the meals are hand made. They many different family entrees to choose from. Next week we’re trying the shrimp scampi! They have a blog too where they share helpful cooking tips and videos. To find Michael Angelo’s™ Italian meals at a store near you click HERE.